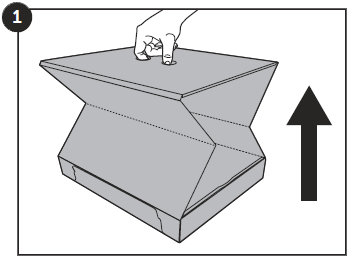 Using the finger holes on the top of the box, pull up on the box until the sides are fully extended. 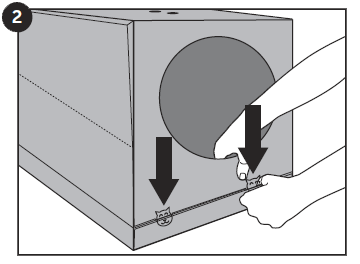 Pull the entrance flap down from under the top of the box. Pull the flap completely forward, and lock both the tabs securely in the slots in the bottom tray. 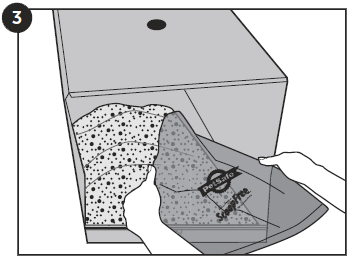 Cut the bag of litter across the top, and pour the crystals into the base tray of the box. Pull the back flap down and completely forward, and lock the single tab into the bottom tray. 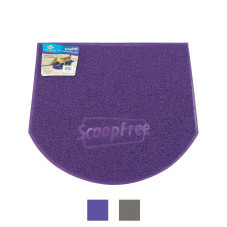 The disposable scoops fold up on both sides so that they are easier to handle. 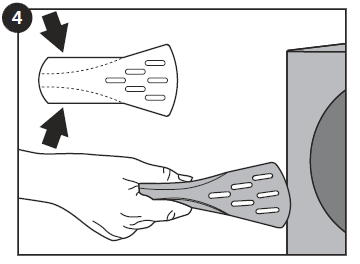 Use the scoops as needed through the opening on the box.